Phil's Filling Station Cruise-in April 14th. John and Kristen, David and Marian, Joe L. plus Dave and Cathy share a breakfast together at Phil's in Fountain Hills. While a salesman at Rudolph Chevrolet in Phoenix Arizona, Lou Grubb decided there were possibilities in an inexpensive, economy car produced by the Chevrolet Division, the Corvair. He sent letters to recent Corvair buyers and devotees alike inviting them to a social dedicated to appreciation of the car. With a promising response, discussion turned to organizing a new sports car club. 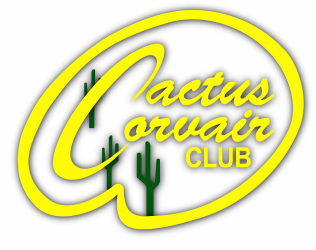 With hasty planning, the first event was an economy run put together by a group of rookie enthusiasts who later became the first members of Cactus Corvair Club after its Constitution was signed in October 2, 1963. We are the oldest, continually active, Corvair club in the world! As part of the Phoenix Chapter of CORSA (Corvair Society of America) we hosted our first regional mini-convention in April of 1976. People from all over the country came, with an estimated 90 cars and 150 people attendees. The event included autocross, a concours show, driving tour of the Valley of the Sun, and a “Fiesta banquet. 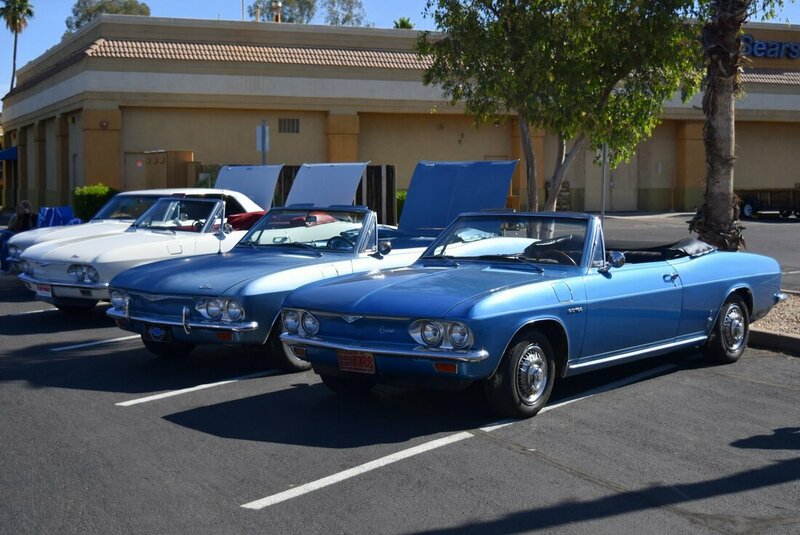 The Cactus Corvair Club hosts an annual All-Corvair show in early October, participates in classic car shows throughout the year (usually benefiting local charities), and supports classic car events, museums, and organizations dedicated to the preservation and public education of our automotive history. We are a community of car enthusiasts; all our events are family oriented and we are excited to meet you. With the closing of Lou Grubb Chevrolet / Power Chevrolet dealerships, the Cactus Corvair Club moved to Thorobred Chevrolet in Chandler. In 2016, the Thorobred Chevrolet dealership was sold to Earnhardt Auto Centers and is now Earnhardt Chevrolet Chandler. We hope for many more years of working with the new owners to promote the Corvair legacy as well as all the new Chevrolet offerings.